Time is that all we have and it is the time that we cannot dedicate to our loved ones. “I wish I could have a few more hours a day in my hands” is a sign that echoes out of every household. Kids anticipate a motherly or fatherly inspiration while the parents expect to spend a few fun-filled hours with the kids. Evaporate these anticipations and expectations, when you realize that Christmas is a distant memory and mad rat race beacons. HooplaHolidays would suggest planning a participation in egg hunts, pirate treasure trails, and castle creation on the beach with the kids and family instead. Historically and architecturally brilliant holiday home in a countryside environment with hundreds of family activities would allow you to rejuvenate yourself and provide you an opportunity to invest some fascinating time in your kids and family. To enable you to plan a fascinating Easter time with lot many surprises to throw and throb around, HooplaHolidays takes you to Scotland, where lush green scenery flanks; sandy beaches shine and mountains invite for day excursions. Among gorgeous gardens and charming lakes, you have your holiday home to make every moment memorable with your family. Only yards away from the seafront, Ellie-Ann Cottage is one of the jewels of the port village of Gardenstown near Banff. 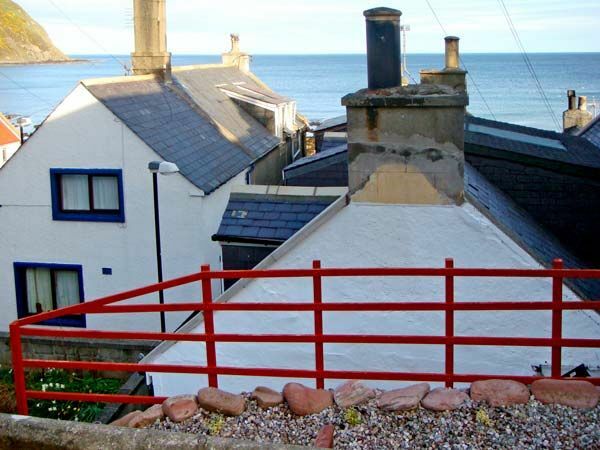 Surrounded by the sea on one side and lush green scenery on the other, this charming detached traditional seaside cottage has much more to offer than many other cottages you may have stayed in. Tucked down a quiet alley, Ellie-Ann Cottage has been stylishly refurbished throughout to give its interior a modern look, while maintaining the historical charm of its exterior. 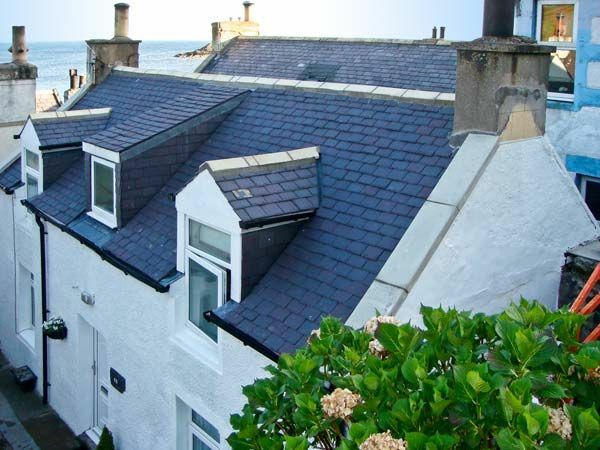 Designed with two bedrooms, a sitting room, a dining room, kitchen, and a seated terrace, this Gardenstown cottage offers the incomparable luxury of sea views, garden views, and peaceful environment. An ideal Scottish base is a two-floor property. It has two bedrooms; both are on the first floor to provide stunning views of the sea on the one side and mountains on the other. A master bedroom has a king size bed, drawers, and wardrobe. The en-suite bathroom is equipped with separate bath area, shower over, washbasin and WC. 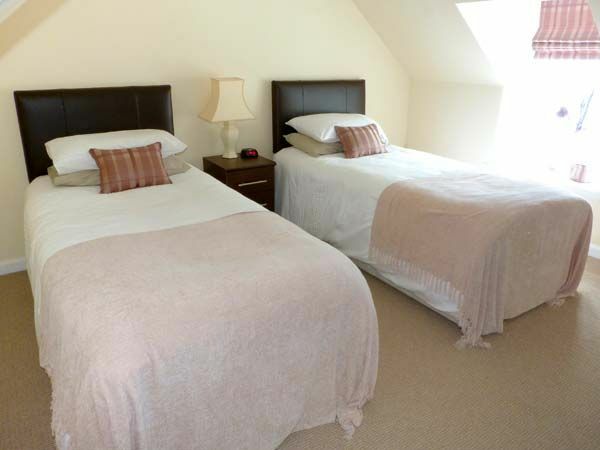 A second bedroom has two twin beds, drawers, and a cupboard. 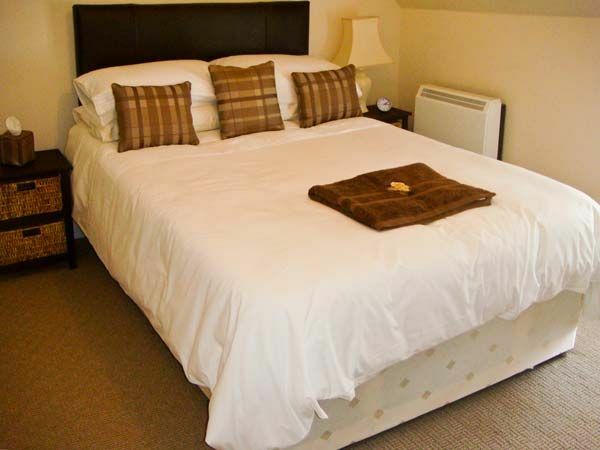 Its en-suite bathroom is equipped with bath area, shower over, washbasin and WC. 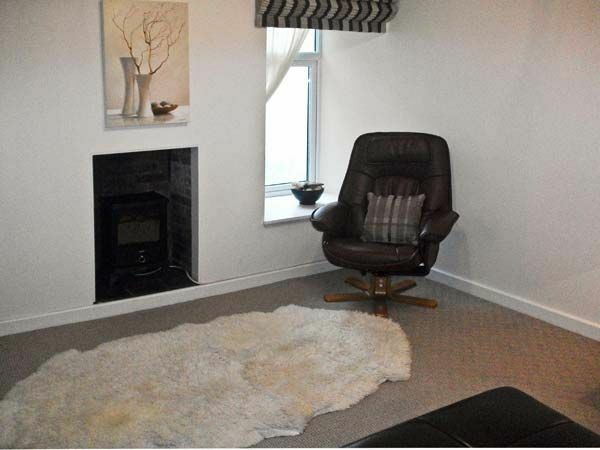 A cozy and welcoming sitting room on the first floor is ideally decorated to give you a home-like feel. 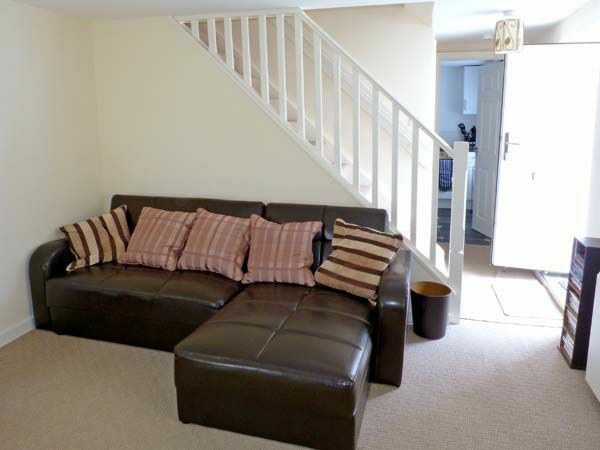 A sitting room is designed with a TV with Freeview, DVD player, PlayStation 2 with games, Wi-Fi, selection of books, games, and DVDs to ensure you need not look for entertainment if you do not feel like going out. The self-catering luxury cottage has electric storage heaters throughout with oil radiator in sitting room to keep you warm. 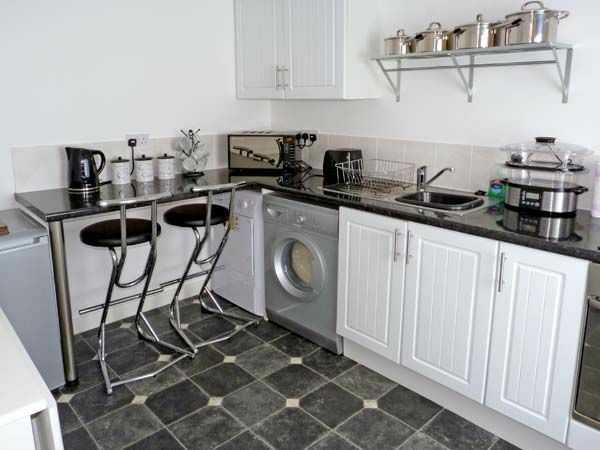 A sitting room door leads you into a stunning kitchen, which is equipped with electric oven, halogen hob, microwave, fridge and refrigerator, washing machine, tumble dryer, and dishwasher. So, here you have a perfect opportunity to be a master chef and perfect chocolatier for your family. 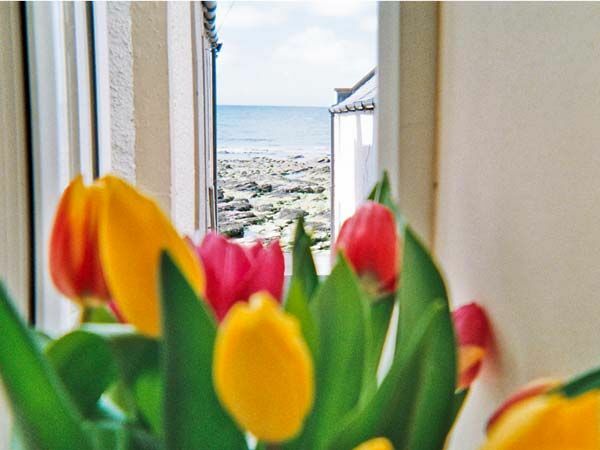 To the rear of the property and up seven steps is a seated terrace area with views over the bay and cliffs, a perfect place to relax and soak up the tranquil atmosphere around this charming cottage. A steep road leads you through the ancient, narrow, and winding streets to the harbor where many small boats are moored. 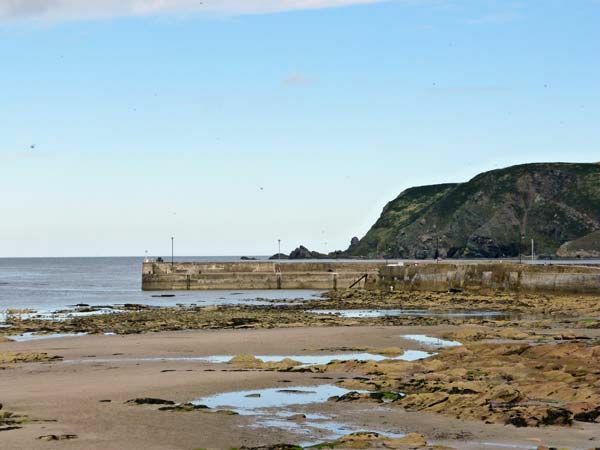 On the other hand, a short stroll from your holiday home brings you to a collection of galleries, craft workshops, shops, a restaurant, and a tearoom. 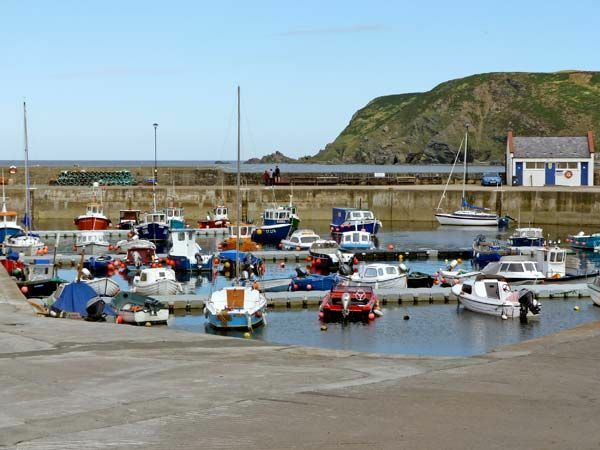 A short drive can bring you to the smugglers’ village of Pennan, where you can see dolphins. The neighboring town of Banff boasts a relaxing sandy beach and a variety of fascinating architecture in contrasting styles. The whole area is an ideal tourist destination, being on the North East Tourist Trail, with easy access to coastal paths and the Whisky and Castle Trails, as well as numerous golf courses, fishing, sailing, dolphin watching, surfing, climbing, great walking and of course, stunning sunsets and fabulous scenery. Top of everything, to its readers, HooplaHolidays offers a fabulous discount of 20% on online cottage booking of Ellie-Ann Cottage. Time isn’t about searching, it is about managing and dedicating. So, leave behind the baggage and head to Scotland to spend some dreamy times with your kids, spouse, and parents.